The Texas Wranglers have developed a reputation of competitiveness across campus. We actively compete in city sports leagues and university intramurals, always bringing our best effort to the field. Additionally, members continuously seek physical and mental challenges through other activities and engagements. Excelling in athletics and physical fitness is a passion that bonds us as brothers, and we take pride in contending for championships in all sporting events in which we participate. From Texas Army ROTC to official UT Club sports teams, you'll find us everywhere. Athletic ability is much more than being physically fit. It is a mindset of not giving up and being unafaid of a challenge. As leaders on the Texas Army Ranger Challenge team, senior, Matt Shao, and junior, assistant-team captain, Eric Kasper, helped lead their team to be the #1 ROTC team in the nation. 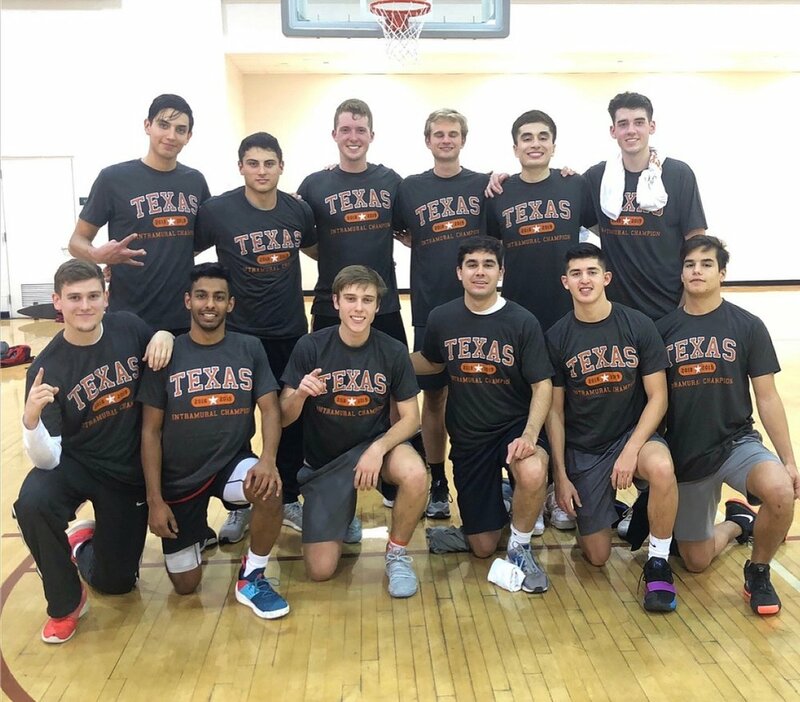 Going up against 63 elite teams from across the world, Matt and Eric proved the impossible by breaking Texas A&M's three year winning streak and bringing home the gold medal for the first time in UT history. The competition was held in the snowy hills of West Point, New York and consisted of over 25+ miles of movement and 13 military events including grenades, weapons, and casualty care. These two men have proved to be strong leaders both in Wranglers and in ROTC. Matt is currently in Georgia going through basic training as an Army Infantry Officer. Eric will be graduating in the summer of 2018 from both the Texas ROTC Program and the University. Proud of you boys! Every year Sigma Chi hosts a fight night to raise money for their philanthropies. Wranglers pride themselves on being a force to be reckoned with in the ring, and in support outside the ring. We often volunteer 2 fighters every year, and have a strong reputation of being fierce competitors. Texas 4000’s mission is to cultivate student leaders and engage communities in the fight against cancer on their 4,000+ mile bike ride from Austin to Anchorage. There's a good relationship between Texas 4000 and Texas Wranglers, as we've had several of our members over the years get accepted into the Texas 4000 family. A special shoutout to James Dial, Martin Pham, and Guillermo Beltran for getting into Texas 4000 this past semester!